While researching for an article on the human eye and the reason why we perceive snow as white, I came across many discussions on how light helps us we see different wavelengths of colors (which is why certain objects look a certain color). 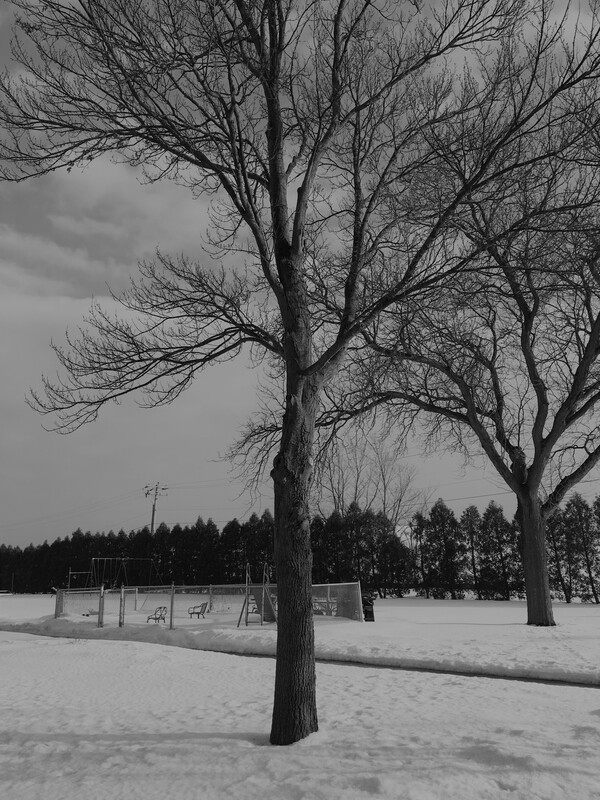 But that set me to thinking about how black and white photography used to be the norm. This is how my mind works. Welcome to the labyrinth. Hope you brought snacks. 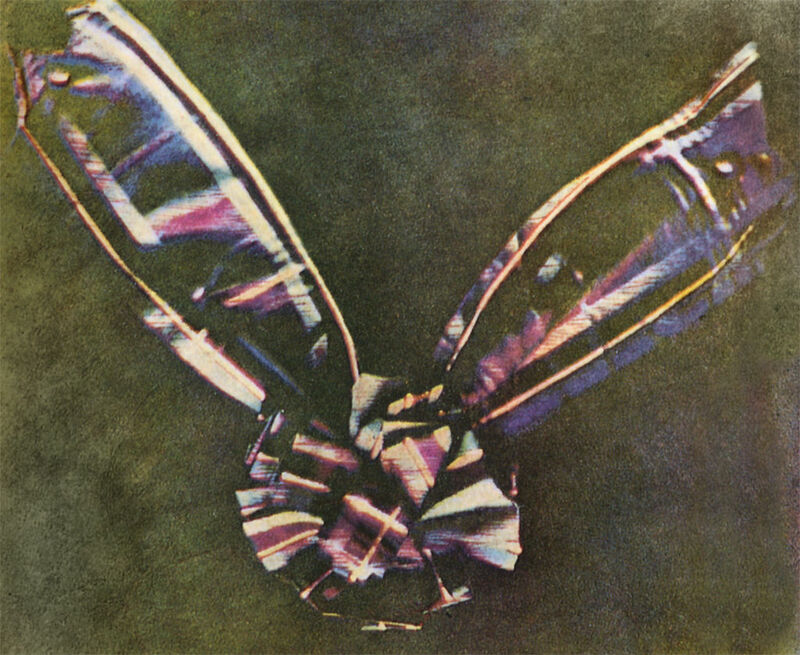 The first color photograph made by the three-color method suggested by James Clerk Maxwell in 1855, taken in 1861 by Thomas Sutton. The subject is a colored ribbon, usually described as a tartan ribbon. Splitting (also called black-and-white thinking or all-or-nothing thinking) . . . is a common defense mechanism. The individual tends to think in extremes (i.e., an individual’s actions and motivations are all good or all bad with no middle ground). • It’ll always be like that. • They will never change. Ever have thoughts like that? 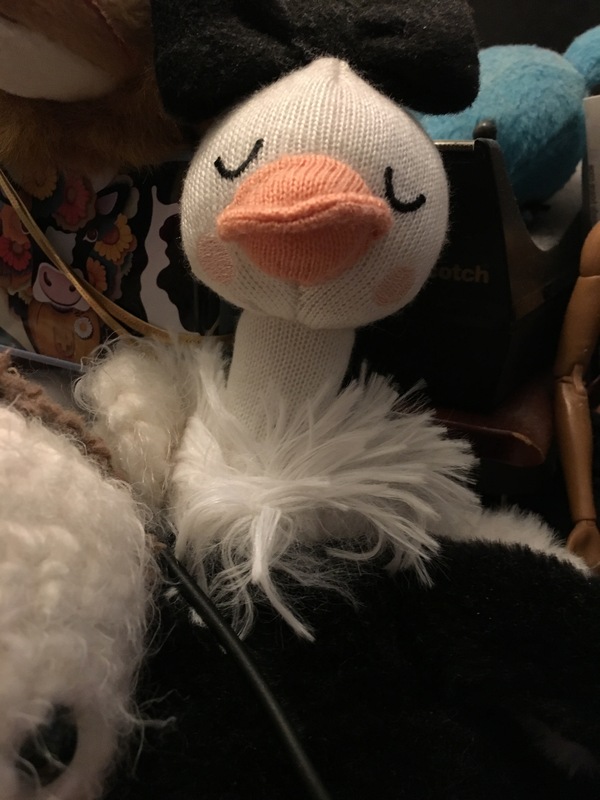 I have. 😔 These thoughts are often byproducts of discouragement and defeat. I’m grateful for wise people who gently point out when the needle of my mind is stuck in the groove of this sort of thinking. • One bad circumstance doesn’t dictate that life will always be the way it currently is. After all, seasons change. • Even the most set-in-his/her way person people can change. • I am valuable and strong. Ever fall into a rut thought-wise? What did you do to climb out? 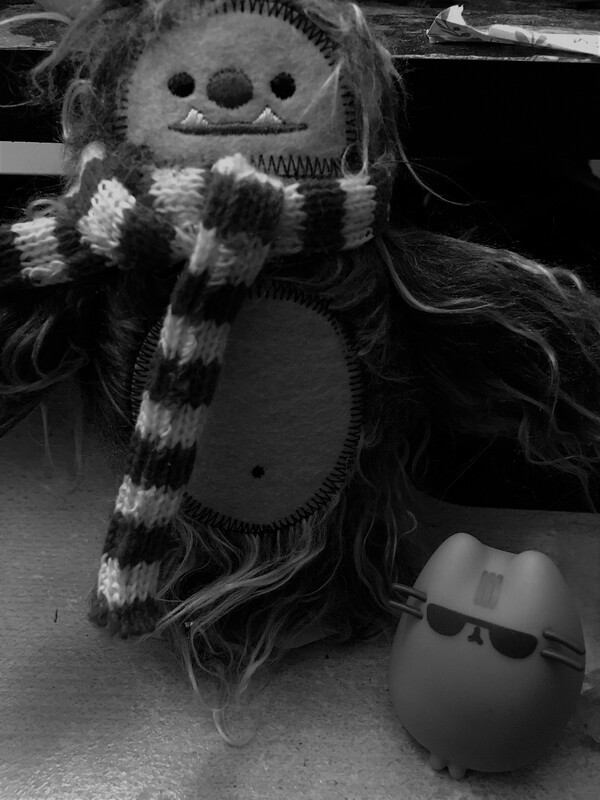 Henry insisted on a black-and-white photo with his newfound friend, the Pusheen Cat, both of whom say that strength is their defining trait. Matrix gif from uproxx.com. Tartan photo from Wikipedia. Other photos by L. Marie.